Why put up with this risk when you don’t have to any longer? FormulaOnw window tint blocks more than 99% of harmful UV rays. It’s why The Skin Cancer Foundation recommends window tint as part of a comprehensive skin care program. We provide a window tint that can change all that — putting you back in control for a cooler, more comfortable ride. Quality window tint is proven to reduce interior surface temperatures by as much as 60° F. By blocking more than 99% of harmful ultraviolet (UV) rays, window tint protects passengers from skin damage and the interior of your vehicle from fading and cracking. And on the road, window tint inghelps reduce blinding glare and painful eye strain. You can choose from a variety of shades — from light to dark — that will provide privacy for you, your passengers as well as your belongings. Ride safer, cooler and in greater comfort. 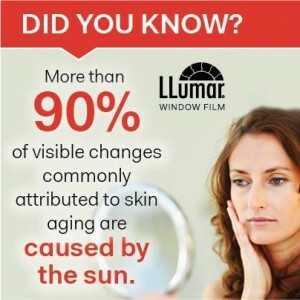 FormulaOne & Llumar Window tint is recommended by The Skin Cancer Foundation as part of a comprehensive skin care program.